Are you ready for some football? Tonight’s the Super Bowl! While my favorite team, the Steelers, is not playing tonight, my husbands favorite team is so we’ll be watching. His number 1 team is the Baltimore Ravens. So while it pains me to do so, for one night only I’ll put on my purple and cheer his team on to a Super Bowl win. The best part of the Super Bowl for me is the food. Good snacks and drinks really make the Super Bowl a winner. 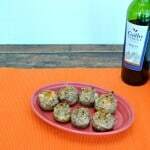 This week #SundaySupper is sharing our favorite Super Bowl foods! One of my favorite healthy snacks is hummus. 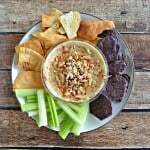 It’s a tasty way to eat vegetables, pita chips, and pretzels. The only issue I have is the price. It’s getting expensive to buy several containers of hummus every week. While I love making my brother’s bacon cheddar hummus, it has too much fat in it to eat all the time. 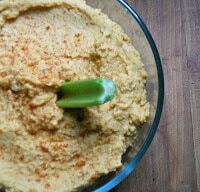 I also have a recipe for hummus that doesn’t use tahini that is good, but it’s not something I could eat all the time. I’ve tried several other hummus recipes but none of those were very good. 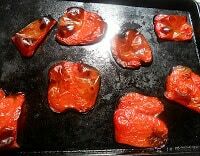 When I saw that red bell peppers were on sale at the market this week for $4.00 for a bag of 7 I decided it was time to try roasting my own red peppers and making roasted red pepper hummus. The recipe was incredibly simple. The red peppers smelled amazing as they roasted in the oven. I cooked them just until they were black on the edges. Roasted red peppers in a jar can be substituted instead of making your own but I think the flavors are better on ones that are roasted the day you make the hummus. Then everything gets thrown into the food processor and is processed until smooth. It’s creamy and a bright red color. There is a lot of flavor from the red peppers, garlic, tahini, and lemon. 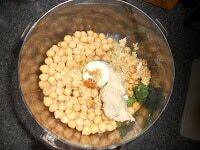 This is the best hummus recipe I’ve made and it’s one I’ll be making frequently! 2. 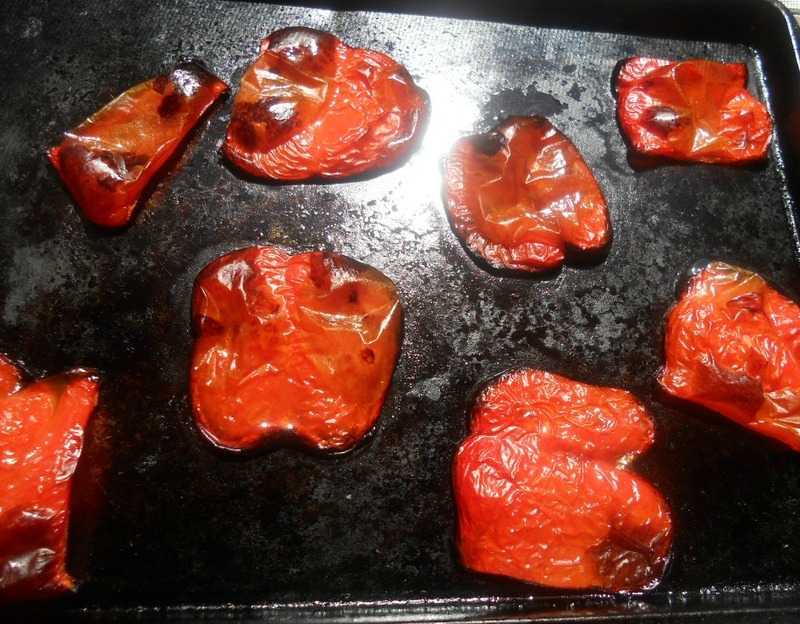 Cut each red pepper into 4 big pieces and place on a baking sheet. Drizzle with half of the olive oil. Bake for around 20 minutes or until the edges of the peppers begin to blacken. Remove from the oven and cut into pieces. 3. Combine the red pepper, lemon juice, remaining olive oil, parsley, garlic cloves, salt, pepper, cumin, and cayenne pepper in a food processor. Cover and process until blended. 4. Add in the garbanzo beans and tahini and process until smooth. 5. Spoon into a bowl and refrigerate until ready to serve. Will keep in the refrigerator for up to 4 days. Please make sure you check out all of the other Super Bowl #SundaySupper participants to see what they’re bringing to the big game! « Into the Dark by Stacy Green + EBook giveaway! I LOVE hummus and I need to venture beyond the plain ol’ version. Yours sounds spectacular! I love hummus and I’ll take it any way I can get it! Can’t wait to try this one! 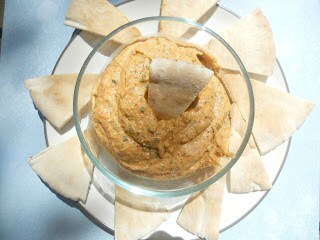 Roasted Red Pepper is my favorite hummus!! Yours looks so delish! 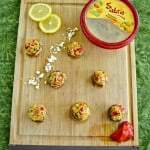 Yummmmm – I love hummus! This sounds fabulous. I need to try making some of my own again soon! I am not a huge bell pepper fan but when you start roasting them, somehow that all changes and I love them. Bet this hummus was wonderful! I could snack on hummus every day. I love so many varieties and I’ll have to try your roasted red pepper one. I love hummus and I love roasted red peppers, together it would make a great dip for sure!! 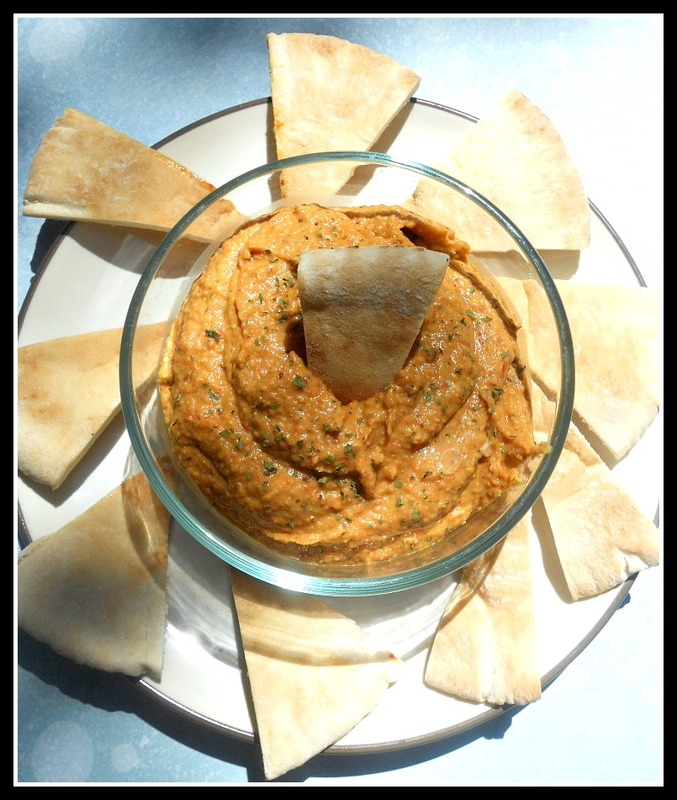 Roasted Red Pepper is my favortie hummus, and I bet homemade is even better! This is my favorite flavor of hummus, now I can make it myself rather than buy it! Thanks for sharing. I love roasted peppers. This is the perfect use for them. I’d be eating it with a shovel. That’s socially acceptable right? Love hummus and the addition of roasted red peppers is great. I love red pepper hummus. Yours looks fantastic! We love hummus. I have made plain hummus plenty of times, but never tried any flavors. I think I need to make a roasted red pepper hummus next.